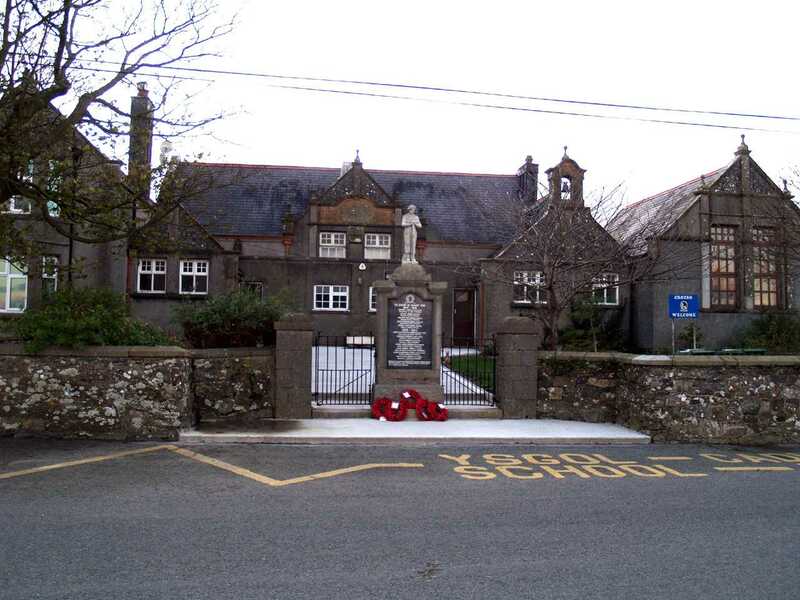 Anglesey, Llanrhuddlad School War Memorial. Llanrhuddlad on the Island of Anglesey in North Wales is in a very rural location, as are most non town locations on Anglesey. 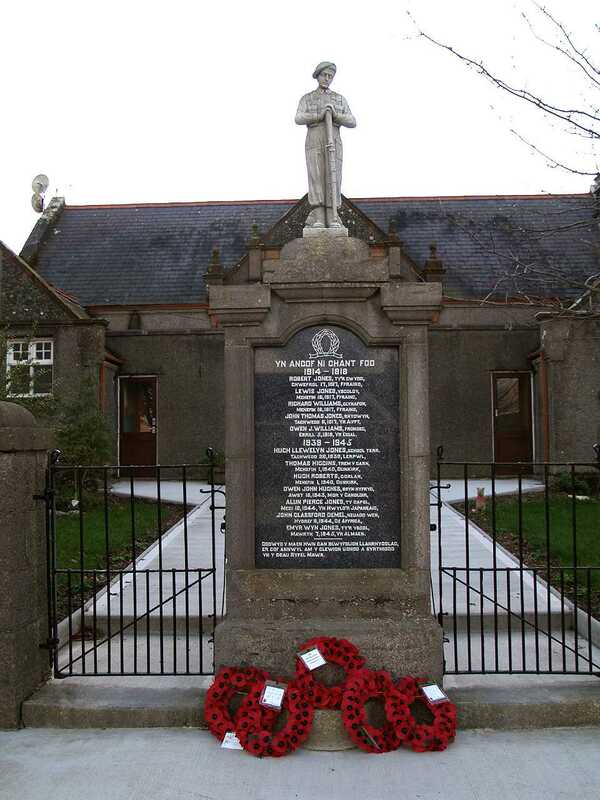 The War Memorial is situated at the local school, and is a good memorial for such a small village. I have not researched in depth any of the names, but because one soldier on the memorial - Lewis Jones of Ysgoldy - is my wife's relation, then I know that he is also remembered on the grave of his parents at Llanfairynghornwy Church. 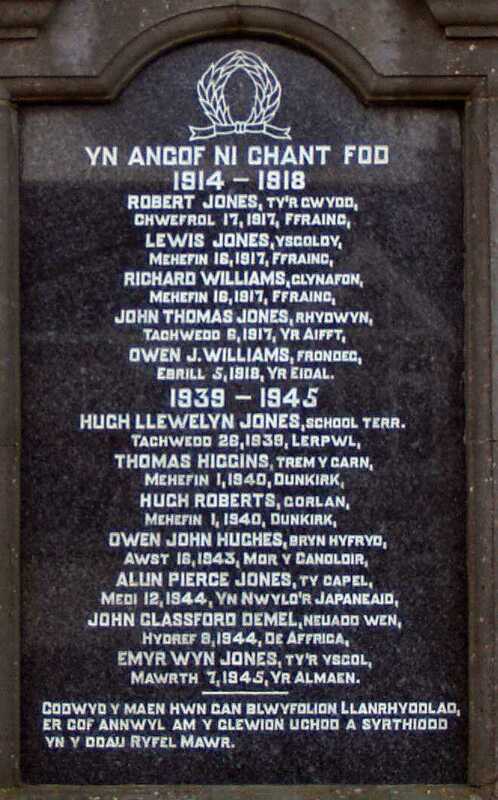 Llanrhuddlad School War Memorial Names.